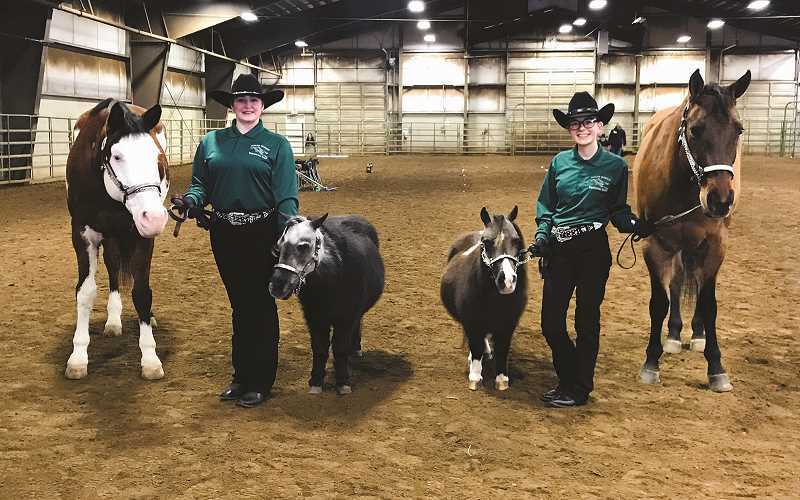 The North Marion Huskies kicked off the 2019 Oregon High School Equestrian Team season this month at the Linn County Fairgrounds in Albany on Jan. 17-20. With no new recruits to the program this year and only two riders returning from last year's team — juniors Peyton Knight and Rebecca Lettenmaier — the Huskies have a small, but dedicated roster this season. Knight led the team with a pair of top-10 finishes, placing third in In-Hand Trail and fourth in Driving, while finishing in the top half of the field in Hunt Seat (12th), Poles (13th) and Barrels (14th). Lettenmaier had her best individual finish in In-Hand Trail as well, taking sixth overall in the event. She went on to finish 13th in Trail, 18th in Western, 22nd in Poles and 33rd in Barrels. But the team's best finish came with the help of friendly rivals from nearby Yamhill-Carlton. Needing two more teammates to compete in the four-person events, the Huskies and Tigers paired up with exceptional results. 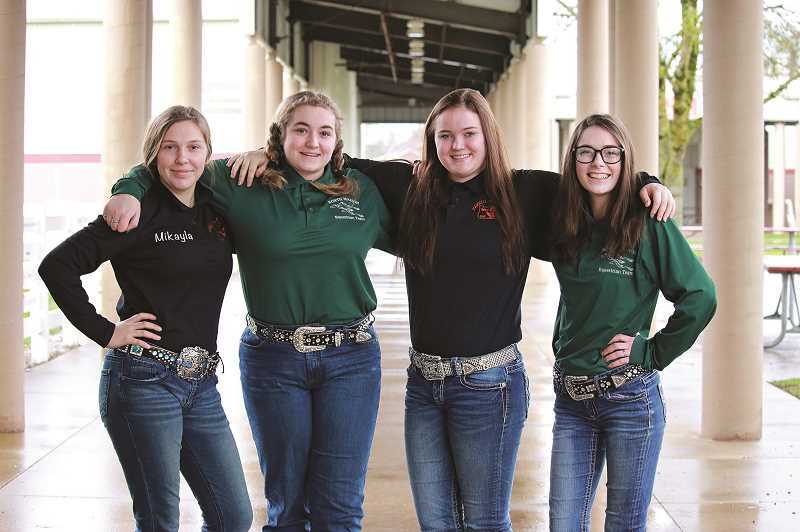 The team took first place in Drill, was fourth in Team Penning and sixth in Canadian Flags. As a duo, Knight and Lettenmaier also took fourth in In-Hand Obstacle Relay, was 10th in Working Pairs and 21st in Birangle. The Huskies will return to action at the end of February when they compete in the second meet of the season at the Salem State Fairgrounds on Feb. 28 to March 3. North Marion will wrap up the regular season on April 4-7, also at the State Fairgrounds.